Heat half and half but do not let it boil. In a medium mixing bowl, whisk eggs with 6 tablespoons of sugar and vanilla until light and foamy. Gradually add half and half to egg mixture, whisking constantly. Set aside. In a skillet, place the ½ cup of sugar and cook over moderate heat until a golden caramel is obtained. Do not stir the sugar, simply swirl it around the pan as it begins to melt. Divide caramel among 6 custard cups and allow to set for a few minutes. Strain the custard mixture into a pyrex jug and then divide the mixture among the lined custard cups. Place the cups in a shallow baking dish and fill the dish with hot water to come halfway up the custard cups. Bake for about 50 minutes or until custard is set. Remove the cups to a rack to cool, then cover and refrigerate until chilled. To serve, run a knife around the edge, shake lightly, and invert onto a shallow serving dish. A helpful hint: to clean the caramel out of the baking dishes and pan in which you cooked the sugar, simply fill them with very hot water and allow to sit until the caramel dissolves. It may take a second "treatment" with hot water to dissolve entirely. 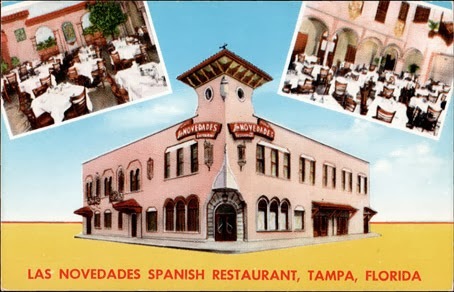 Read about the Tampa restaurants where we first had flan....50 years ago! 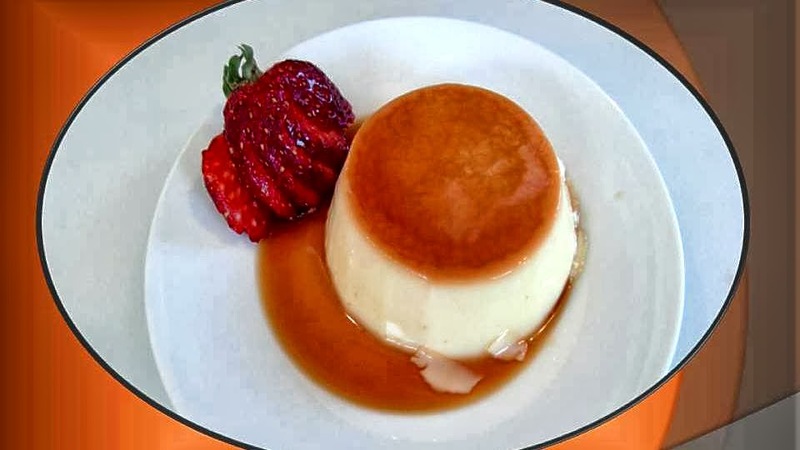 The flan looks wonderful Betty, thanks so much for the step by step video. I will definitely make this for a special dinner. The tip using a funnel and the﻿ tip of wrapping a couple of rubber bands around the ends of the tongs were fantastic. And of course I love seeing Annie at the end. She's such a cutie.